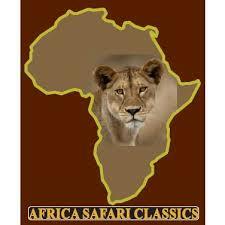 Africa Safari Classics is a leading and specialized provider of African Wildlife Safaris in Kenya, Tanzania, Zambia, Rwanda, Zanzibar and Botswana. We are a strong medium-sized DMC (Destination Management Company) with solid reputation, meeting and fulfilling your safari holiday dreams with a difference. No one knows Africa better than Africa Safari Classics and our passionate and knowledgeable Tour Consultants and Safari Guides will ensure that your safari is full of adventure, relaxing and creates memories of a lifetime. Our Head Office is located at Suite 6, Basement 2, NSSF Social Security House, Bishop's Road, Nairobi Kenya.